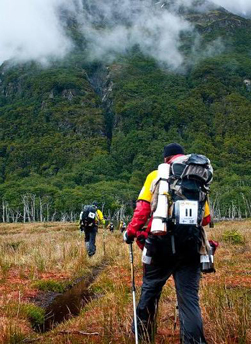 The Patagonian Expedition Race will be held from Tuesday 18 to Wednesday 16 of February, the adventure race that takes place in the southern-most extreme of the world, which will travel between 600 and 1,000 kilometers in the Magallanes Region. This version is the one that has gathered more participants. For the first time 56 people divided into 15 teams from around the world will compete: Canada, England, Denmark, Czech Republic, Croatia, France, Japan, Australia, USA, New Zealand, Chile, Argentina and Brazil. The race includes four disciplines – trekking, rope, bike and kayak -, which must be neatly overcome by the participants, who will have the necessary equipment for every occasion. In this opportunity the Adidas Terrex Team will participate, which is sponsored by Prunesco, among others. This British team is comprised by Warren Bates, Tom Gibbs, Nick Gracie, Sonya Clarke, Nicola Macleod, Bruce Duncan and Mark Humphrey. Since 2005 they have been the British champions in this discipline, and since 2009, the have been the World Champions in Adventure Racing.